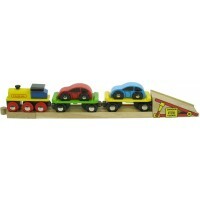 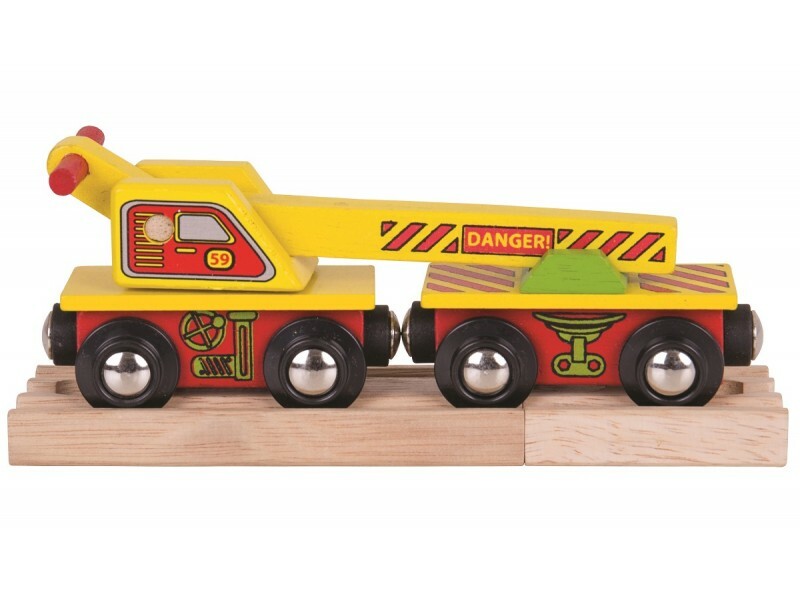 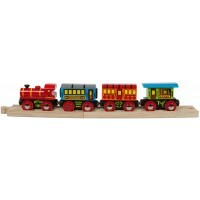 Our wooden train set Crane Wagon consists of 2 play pieces. 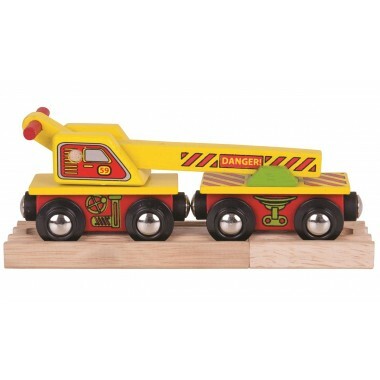 The bright yellow crane can be swivelled and raised and connected to other trains and wagons with it's magnetic couplings. 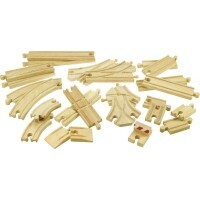 A great product well made.